One would think that with the growing, evident depravity in the world today, a “prophet to all nations” would focus her message on more spiritually profound, eternally consequential matters than calorie counting and dropping a couple of dress sizes. Something ala John The Baptist, perhaps. “Repent and believe.” You know. Alas, for one femme fatale of presumed faith masquerading as a modern day prophetess, the word from the Lord is about the loss of your girth being translated into your spiritual gain … and the certain gain of her doubtlessly well-appointed purse. 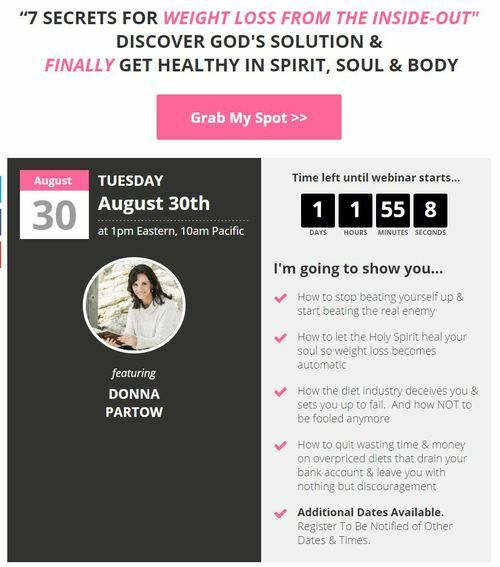 Donna Partow, proprietor of Women’s Empowerment University, is such a prophetess … well, she makes that claim. And, in making that claim, we can be certain that her click-bait enticements to capture your email address for that free ebook will merely serve to guide you, the gal in need of a caloric control miracle, to her $47 “seven secrets” miracle maneuver, endorsed, allegedly, by God. “Shifting spiritual atmosphere” … oooh… ahh. How does one do that, anyway? Is it like New Age cloud busting? Whatever, it’s obvious this has been Jenny Craig’s problem all along. She didn’t slather her appeal to the bulky and bemoaned in sufficiently impressive Holy Ghost lingo. Of course, as a business, Jenny’s more interested in your thighs than your soul and, though she would likely claim otherwise, Donna cares nothing about either. She’s after your $47 Paypal enrollment fee. Now, if you’re just not the sort that would fall for such digital deception (and we pray you’re not), be aware that it’s not only name-brand, “Christian” TV hucksters or those social media and email mavens of deception, like Donna, that bear Berean-like watching. There’s a farm league of lesser-known, regionally-restricted, though no less aspiring self-anointed ones, eager to engage your wallet … errr … your soul. 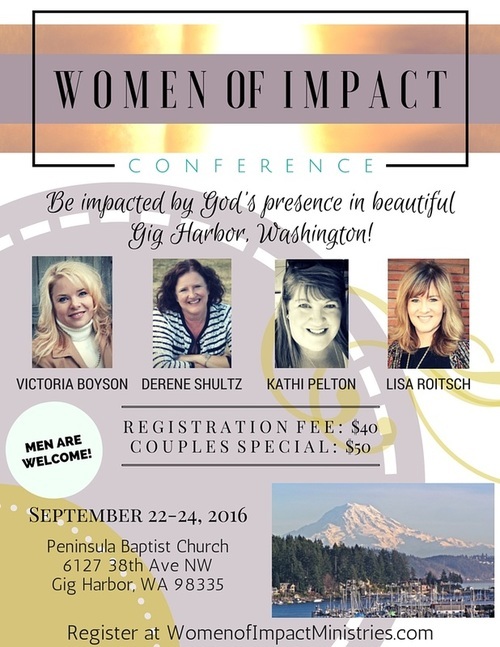 Skip the coat swinging, there, Benny Hinn-ites while these gals rev up their purses. They’ve got an “I’m a prophet too” league of their own. 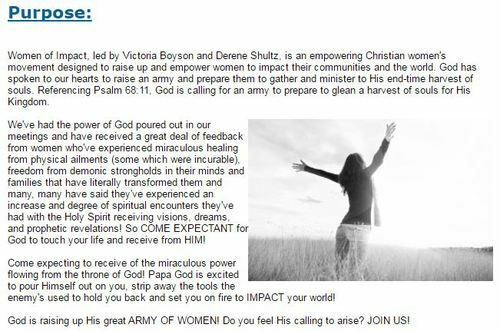 The four horsewomen of this alleged apocalyptic advance team of the Lord are presumably woven from the same mantled prophetic thread. The blather about them and their self-clutched mantles can be gleaned HERE. Derene Shultz “has a heart to see the Body built up in the same grace and mercy she has felt from the Lord throughout her life.” She evidently does this through her “prophetic voice,” and through a “ministry,” The Elijah List, in which she may be found “releasing daily prophetic words. 365 days a year.” Wow. If only the Apostle John had email, just imagine. Kathi Pelton and Lisa Roitsch round out the event’s prophetic foursome. Kathi is “an author, speaker, and prophetic voice,” too. Lisa is an ordained minister who “loves to draw people into experiencing their own personal encounters with their heavenly Father in new ways,” cuz, well, frankly, those old Biblical ways are just too dull and boring, one reckons. 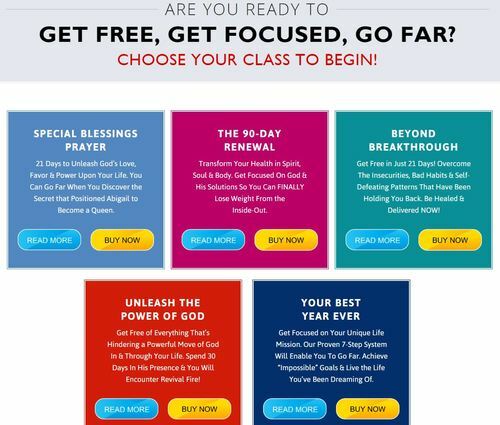 From digital Donna and her illicit weight-loss prophetic declarations to the Women of Impact assembling in a vision rich army of the Lord, the days we live in demand one thing … discernment. While these particular Holy Ghost attractions are aimed at women, charlatanry is, we know, a gender neutral initiative.